This is literally my third time writing this. Im starting to hate my life. 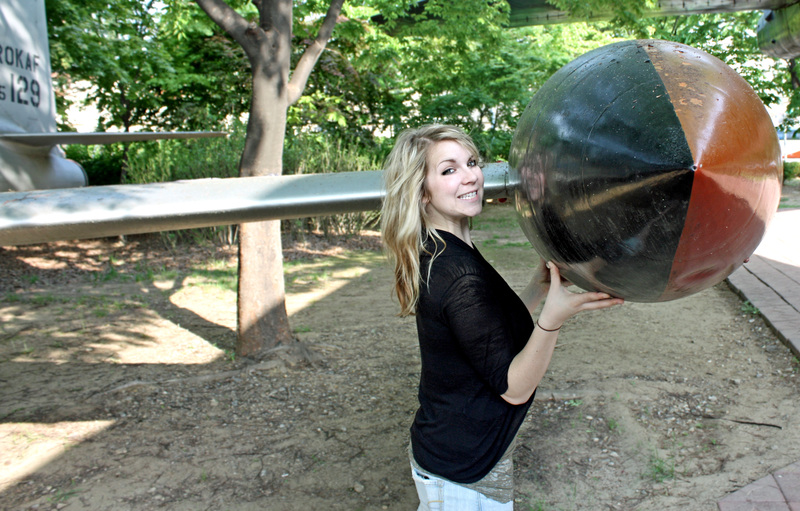 Or this blog, im not sure. The first time I was uploading my pictures AFTER my text, and it deleted my text. The second time Derik accidentally unplugged my computer. I refrained from killing him…it was tough though. Anyway. 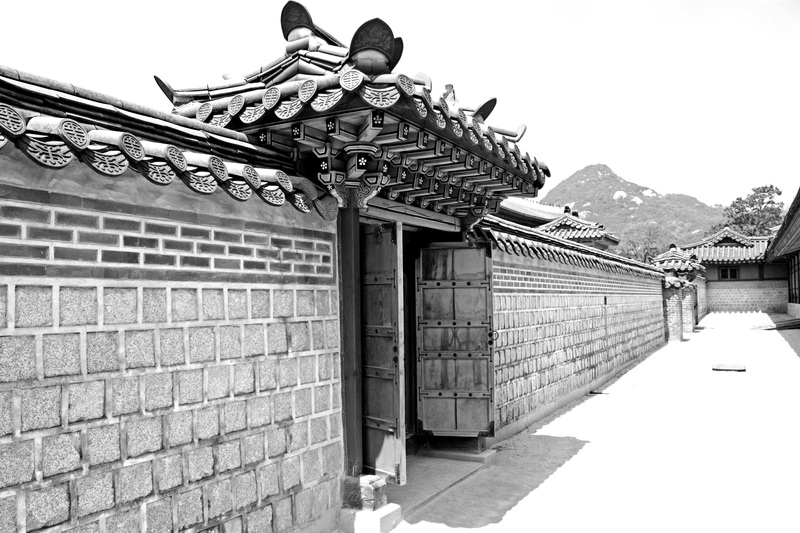 Seoul. (Im feeling an incredible amount of Deja Vu. If history repeats itself again, Im throwing in the towel, sorry folks.) Seoul was amazing, and amazingly crowded. I just found this out and I thought I’d share the information…Seoul is the second largest Metropolitan city in the World. So yeah…It’s big. Derik and I were up to the challenge of this city as month three of living here is rolling around the corner. I’d say the first day Seoul almost conquered us with it’s intricate subway maps, mobs and mobs of people, and overall vastness of the city. 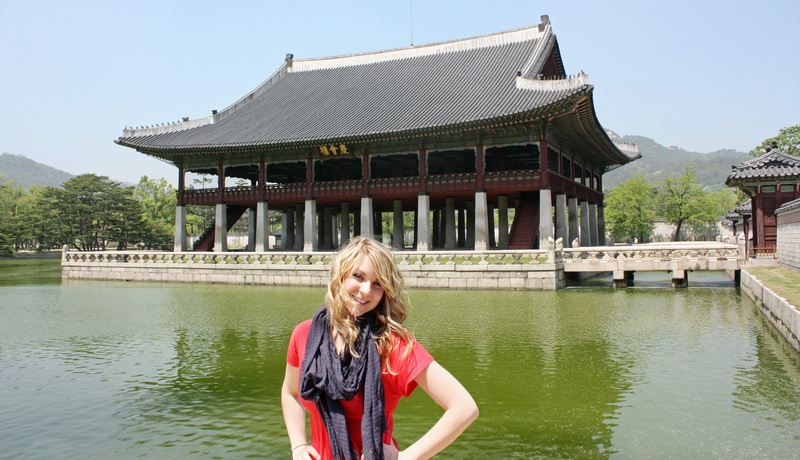 But by the end of the trip, we’re now pretty much experts on all things Seoul. ;) Or so we can think until next time. Our day started at 7:00am in the morning when we boarded a bus to take us on a four hour trip up to the big city. Apparently, being an American, they automatically charge you the rate and give you the ‘business-class’ bus. I didn’t know there was a difference until my boss told me. It was pretty awesome-the seats fully reclined with a foot rest, there was actual leg room that derik felt comfortable, and they play tv (it was in Korean…I’ve never been so entertained by soaps in my life. Korean soaps are so much more dramatic). As soon as we hopped off the bus, we realized…we don’t know how to get anywhere. We know we have to take the subway…but as far as where to go we were clueless. 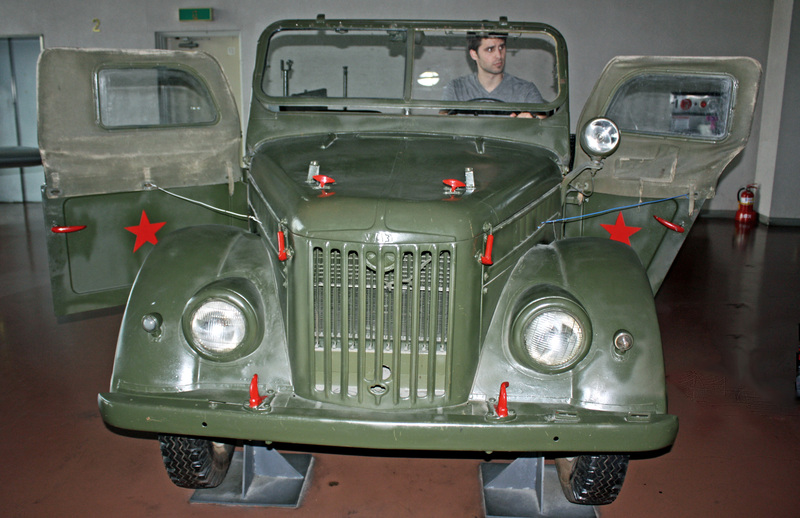 Thankfully we found maps, and had many Koreans stop by to help us. I am so grateful for Koreans sometimes (excluding their driving skills)…they are always willing to help us ‘lost’ Americans. After about an hour and a half of subway rides and taxis we arrived at our hotel. Our hotel. First I need to give you a little bit of background on the choice of hotel. Last fall, when Derik and I took a trip up to Seattle, Wa, to get our visas, we decided to splurge a bit and stay in a nice place. Then Deriks mom, who is fantastic at scoring out-of-this-world deals on everything, told us about Priceline.com’s ‘name-your-price.” We placed a ‘bid’ and somehow got a 4-5 star hotel for 70% off the regular price of a hotel room. 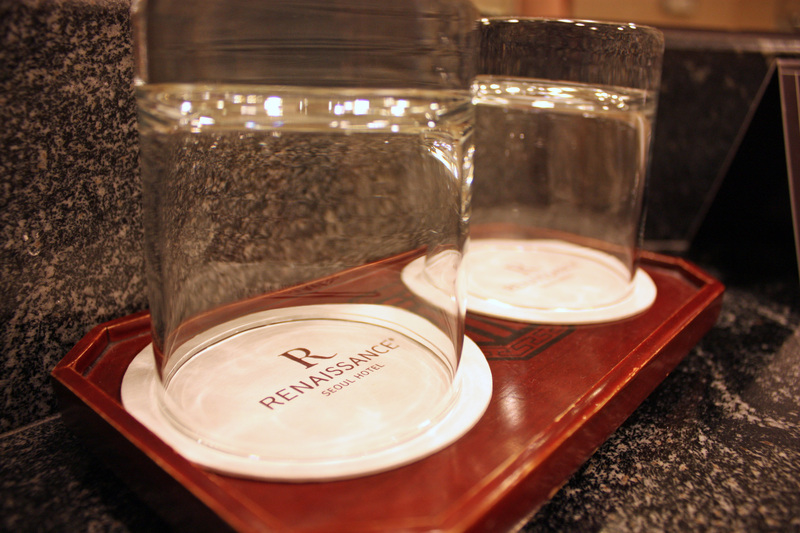 We stayed at the Renaissance Hotel, which exceeded our expectations. 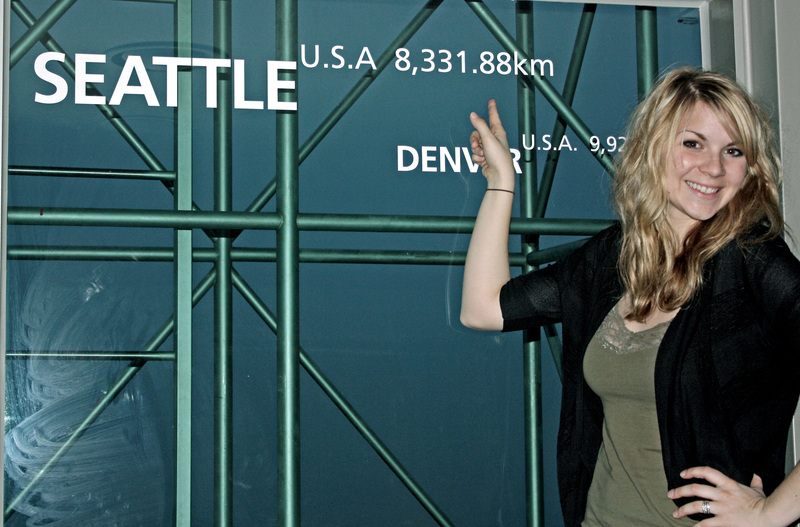 It was in a convenient location downtown, and our room overlooked the Seattle skyline. 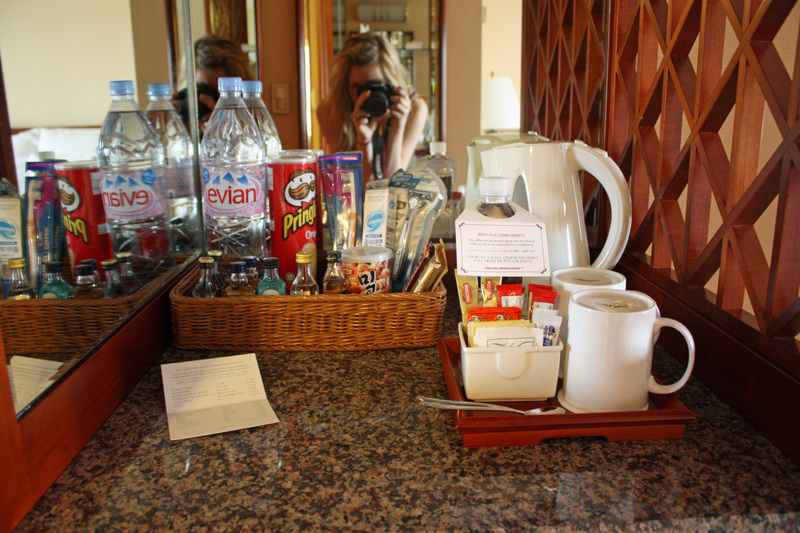 We thoroughly enjoyed the plush living of the hotel and eventually want to go back again. Back to the present. 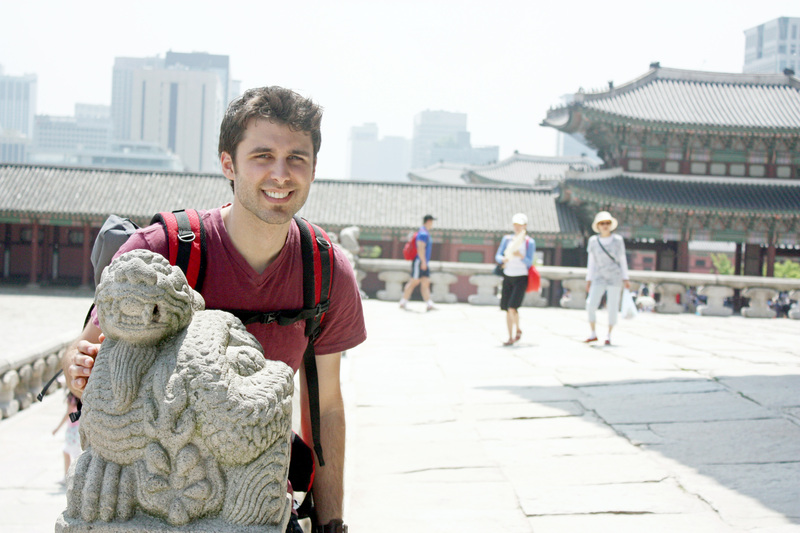 Two weeks ago Derik and I started to search for a place to stay in Seoul. We knew we didnt want a ‘sketch’ place to stay…after all we were going to be staying there the entire weekend. We decided, for the heck of it, to try Priceline. 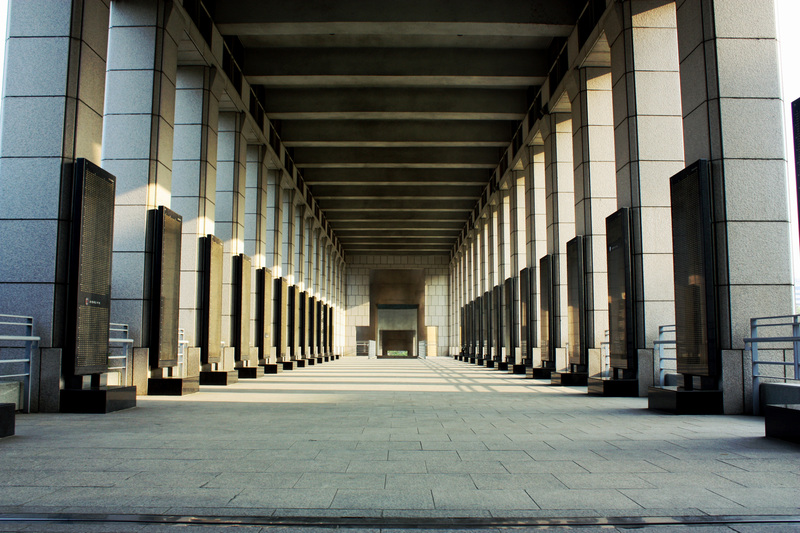 Much to our surprise and delight, the Renaissance Hotel Seoul was listed in the top hotels in the city! We placed a bid, and somehow got a lower price than we had even paid in Seattle. The hotel room was the closest thing we’ve gotten to ‘American Living’ since we’ve gotten here. It was wonderfully fantastic. Probably the most amazing and important part of the room was the bed. I don’t know if I’ve mentioned this before, but for some strange reason Koreans like to sleep on rock hard beds. Take that literally. When we first arrived to Korea, we were exhausted, ready for bed, and were astounded to find out our mattress is quite literally like sleeping on a piece of plyboard with padding. 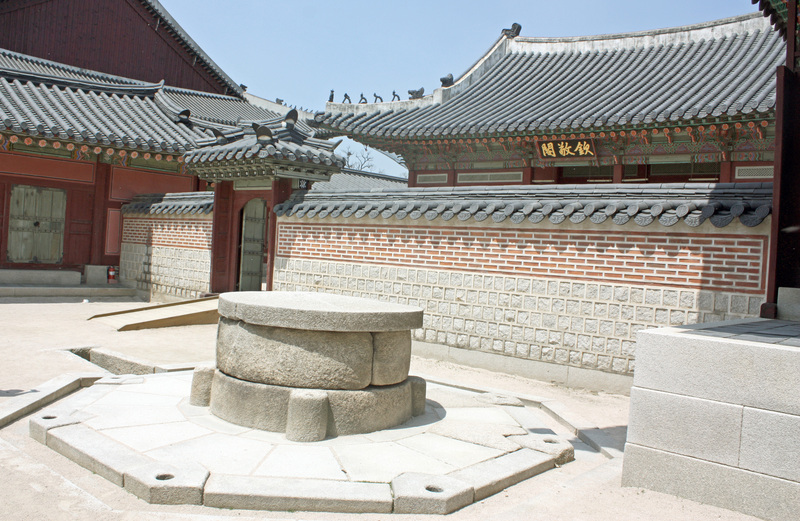 I’ve heard that some Koreans actually sleep on real rock beds. They think it helps their posture. I think it’s true…I havent witnessed it with my own eyes yet though. The bed in the Renaissance was a legit pillow-top with real down pillows. I couldnt believe it. I dont think i’ve slept so good in my entire life. I however am not complaining of my bed in my apartment here in Geoje. Derik and I have gotten quite used to it, and are afraid that when we go back home we’re not going to like the ‘normal’ American mattress. Our hotel also came stocked with a mini-bar…keeping up with the American tradition of being stupidly overpriced. 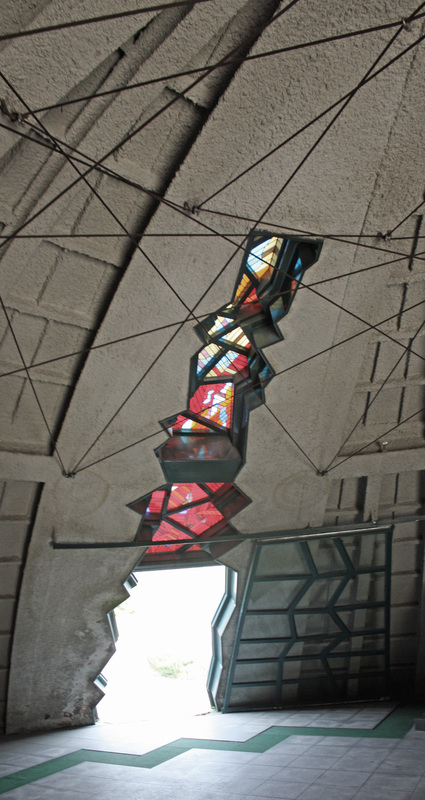 It also came with English and Australian TV channels, and a spectacular view of the city. We were happy with the spot for sure. After freshening up at the hotel, Derik and I headed outside to explore the city. We had compiled a list the week before of places we wanted to visit. First thing on our list? 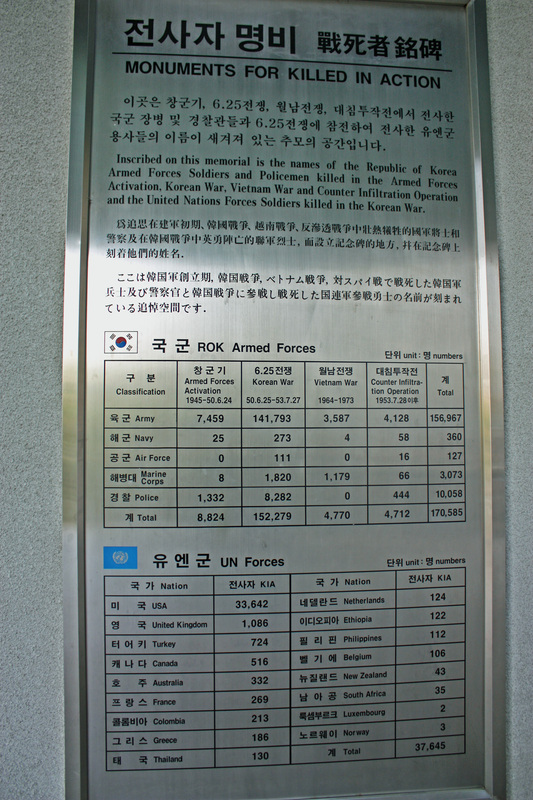 Korean War Memorial. I’ve never been to the one in DC, but I’d have to say, the one here was breathtaking. 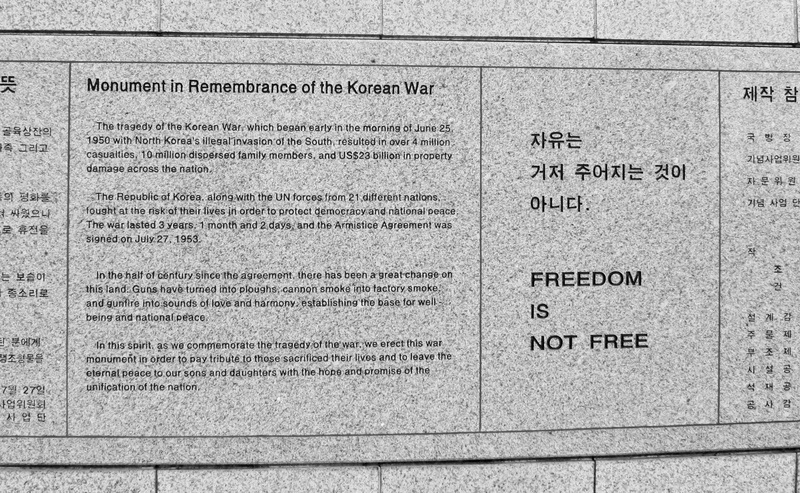 Even though this is such an elementary idea, you often forget the sacrifices other countries have made for their freedom apart from our own. I thoroughly enjoyed spectating this very important part of Korean history. 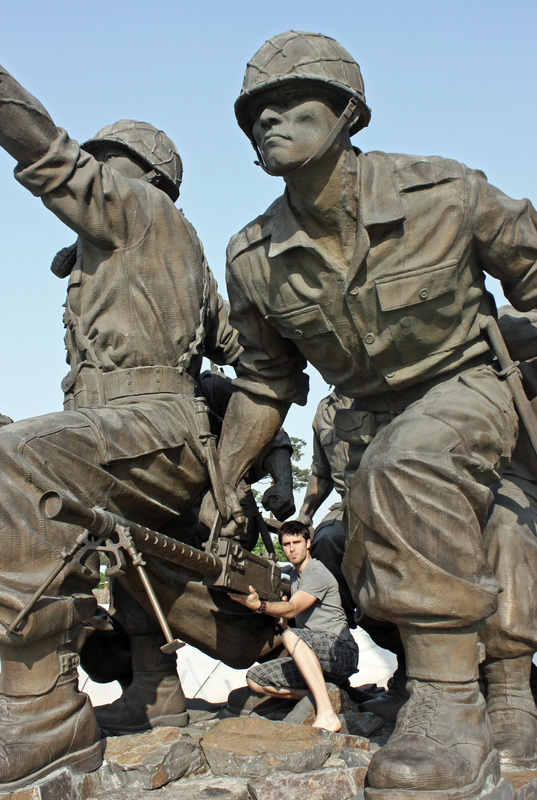 One of the best things about this Korean Memorial was that we were able to climb over and touch almost everything. Very different than the US. 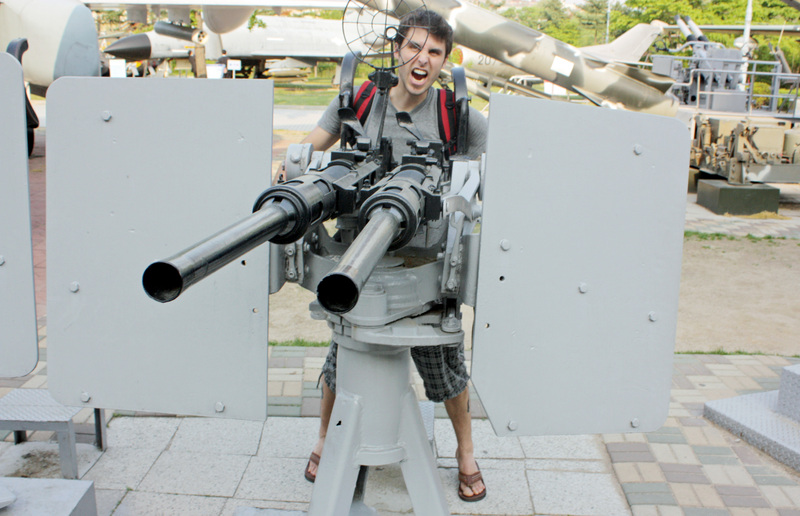 We literally got to climb on airplanes, guns, tanks, and a warship with real battle scars. Im pretty sure Derik was in heaven. Below are a few pictures from the memorial. 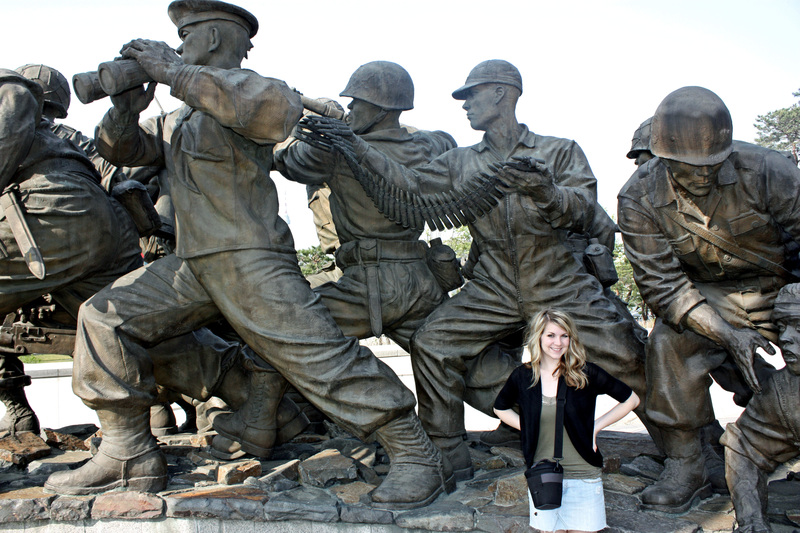 They’re pretty self explanatory, i’m just going to mention briefly about the first statue. 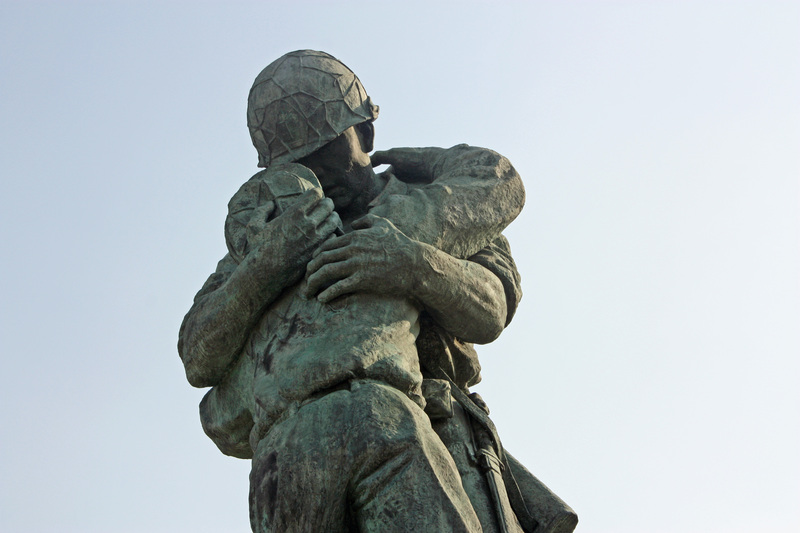 The statue below symbolizes two brothers reunion on the battlefield. 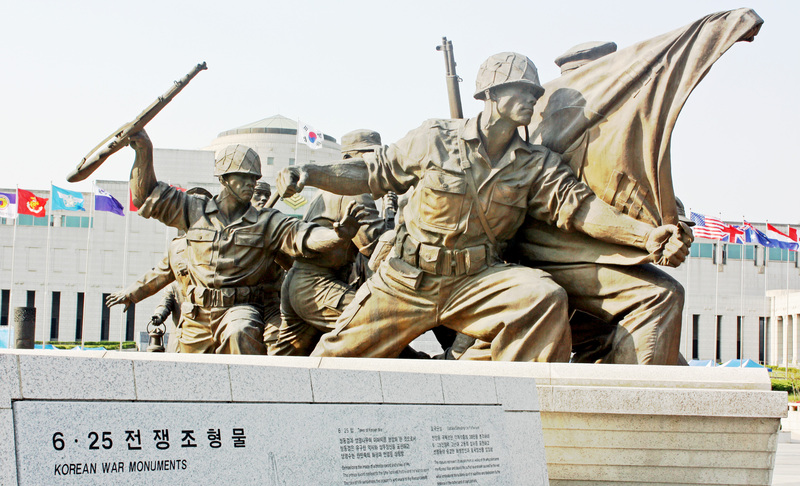 The eldest brother is an ROK officer, and the youngest brother is a North Korean soldier. The statue signifies forgiveness and love between the family. 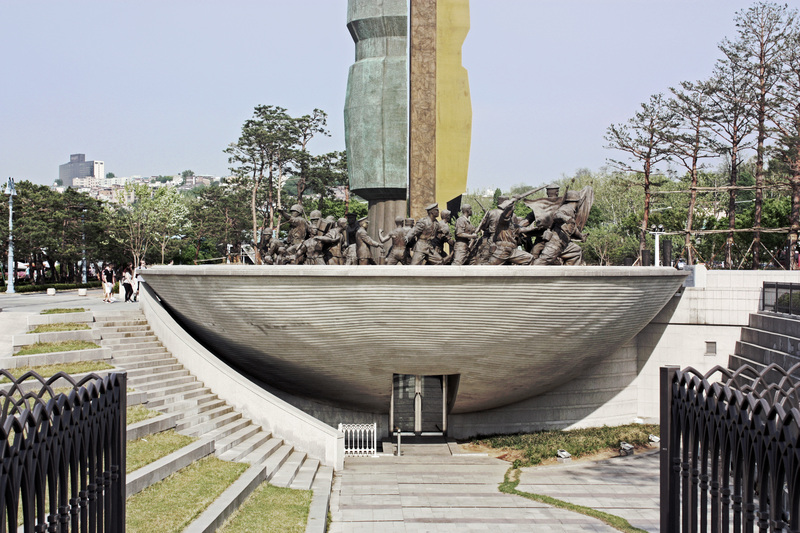 The ‘dome’ that the statue is on represents Korea, and the split in the middle signifies the division between the North and the South. 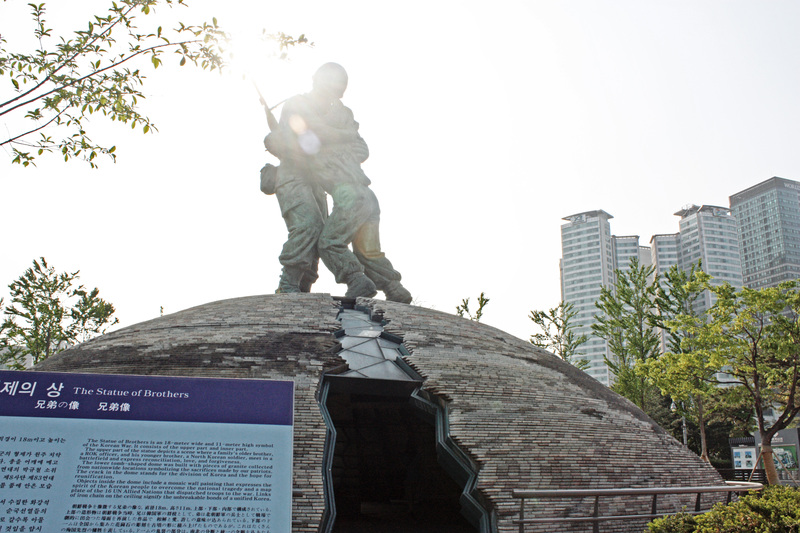 This monument is for the hope that one day Korea will be reunited. 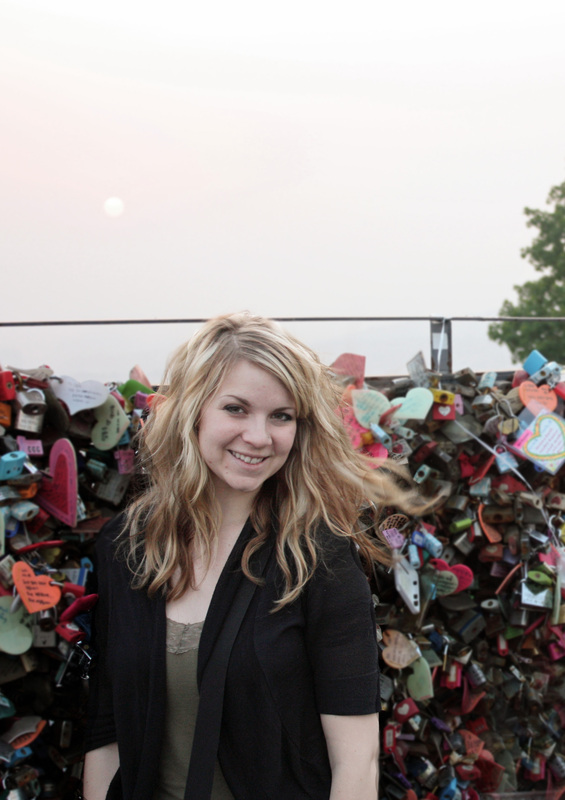 After the Korean War Memorial, we began our adventure of finding the N. Seoul tower. We weren’t sure exactly where it was from the memorial, so we stopped into a Family Mart and asked. The lady looked at us like we were crazy and pointing in a general direction. Eventually we saw the Tower appear from behind all the city buildings…and realized if we wanted to walk to the tower it would take all night. 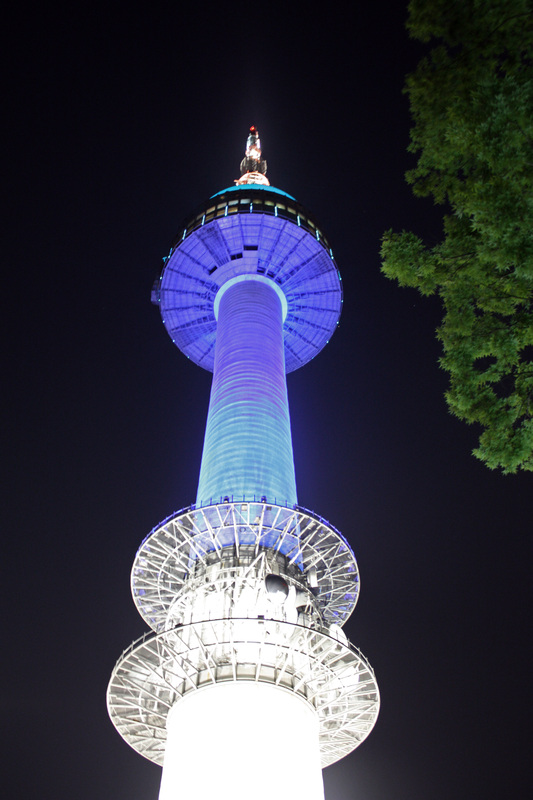 We hopped into a cab and tried to communicate to the cab driver we wanted to go to the “Tower, North Seoul Tower.” Apparently it’s called something else in Korean, because he had no idea what we were talking about. After making multiple circles and u-turns we eventually got there. 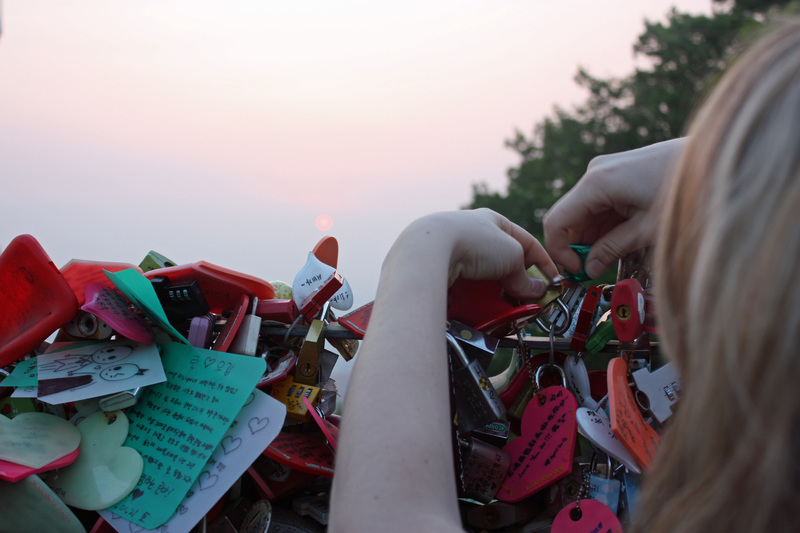 One thing i’ve always wanted to do since before we came to Korea was to place a lock on the ‘locks of love.’ You can google it, it’s a big thing. 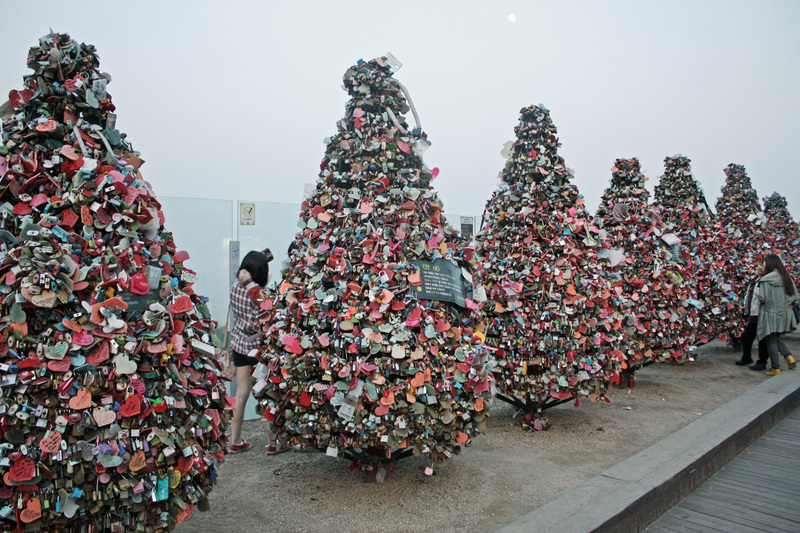 I didnt’ realize how many locks, people, and notes would be there. It was pretty cool. I could have probably stayed for a while to read some of the notes, but most of them were in different languages. 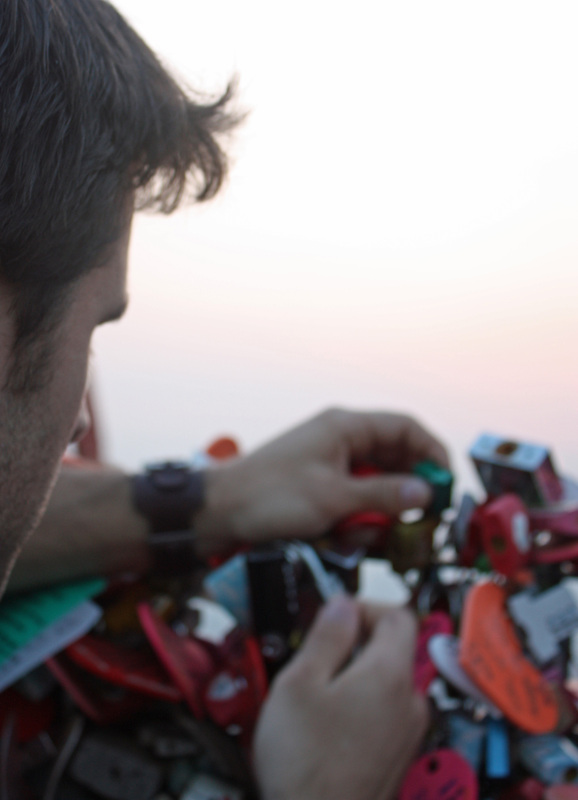 We bought a little green lock, and placed it high up on the wall over looking the sunset. 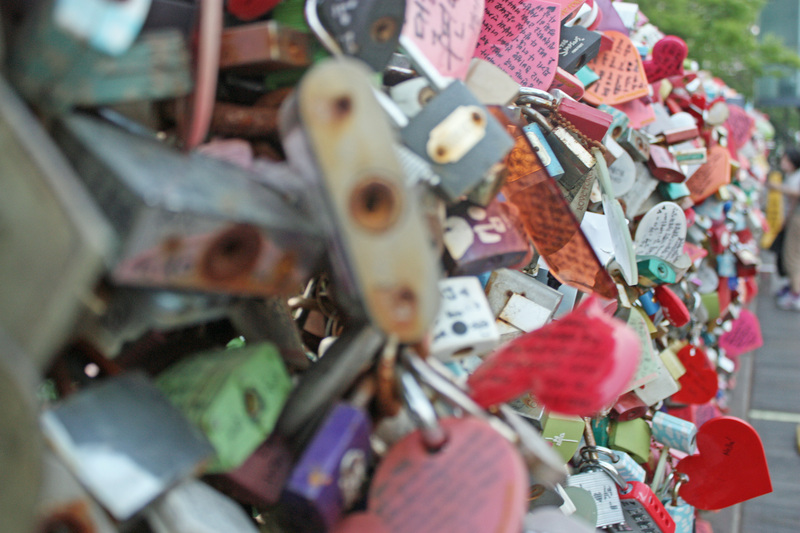 It was a pretty romantic spot for a lock to be placed…we figured it would be happy there. 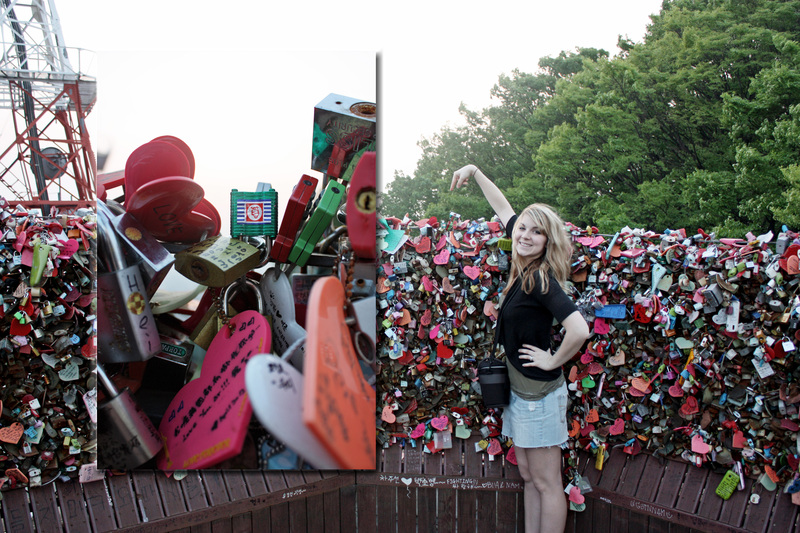 ;) I wonder how long it’ll take for it to be completely covered up by other locks. I placed the lock…Derik locked it! After placing our lock, we headed up the tower. It was pretty awesome…the 360 view of the city was fantastic, especially at dusk. 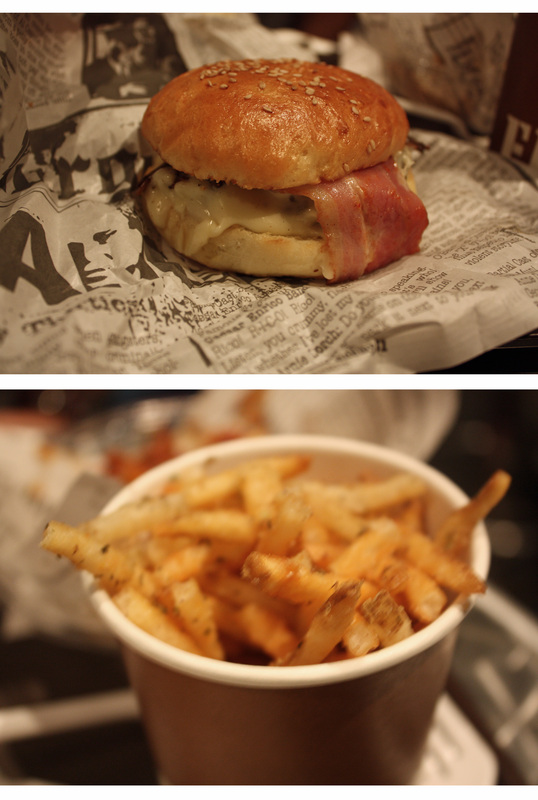 They also had a restaurant which claimed they had the best burgers in South Korea. We had to test it out to make sure. They were pretty good…but I still think Farmers in Busan is better. 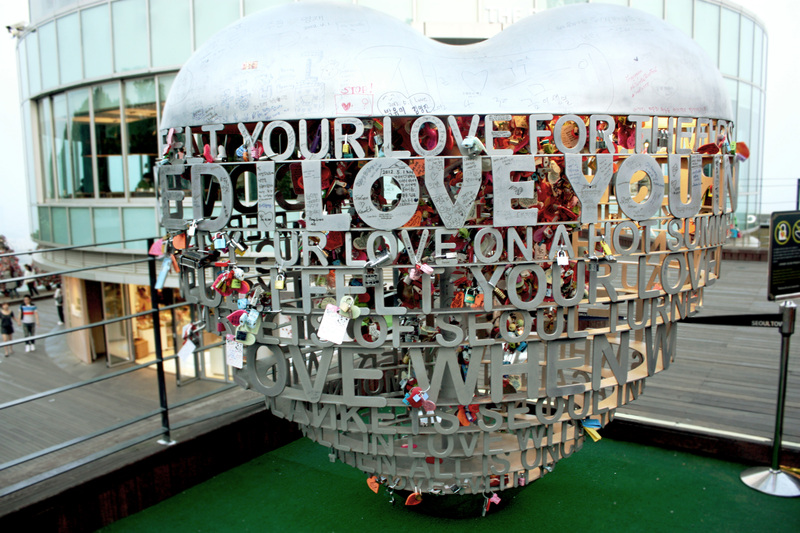 The next day we were going to meet up with friends at noon to go shopping in Myeongdong (just so you know, 1 MILLION people pass through Myeongdong a day). 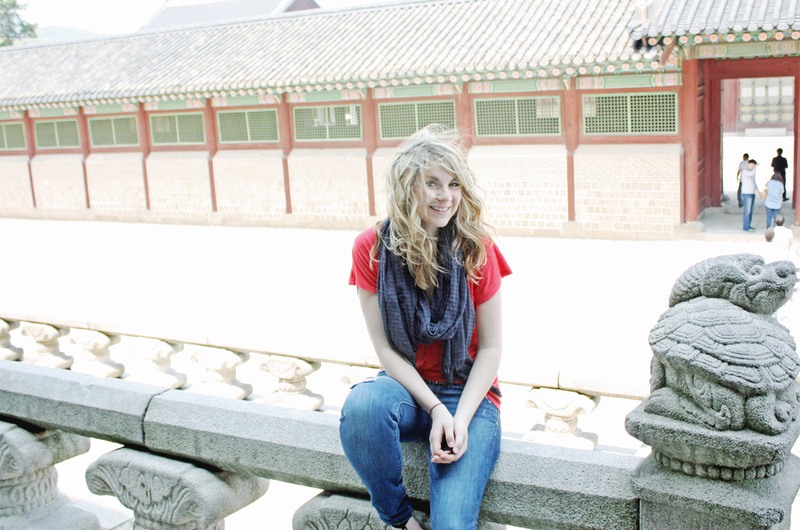 We had a few hours before we were to meet up, so we went to see the sights of Gyeongbokgung Palace. It was an absolutely gorgeous place…once again crawling with people. 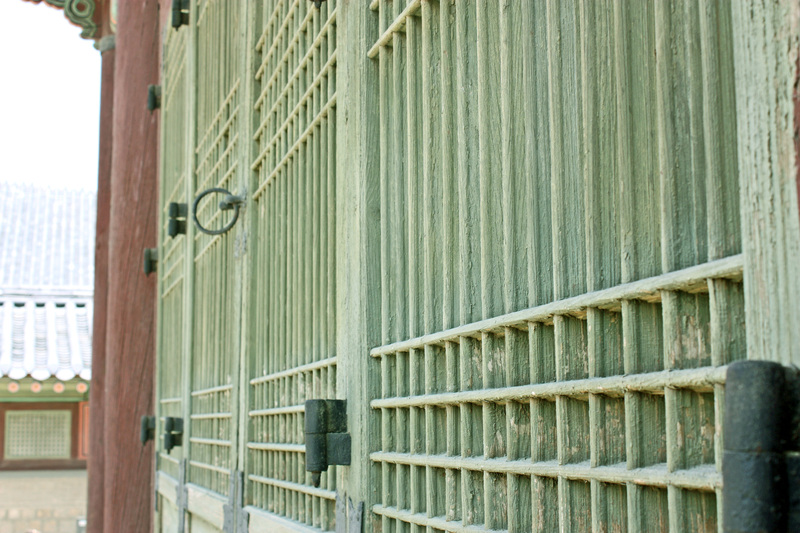 I love the traditional look, and am blown away by the craftsmanship and detail of every single building. After the Palace, shopping was great if you could get passed the mobs of people. They even had shops like H&M and Forever 21. If I ever thought dressing room lines were ridiculous back home…I was so wrong. You wait at least 30 minutes in line to try anything on. It’s kind of difficult when you dont know what size you are! The next day we went to the traditional market and saw all sorts of cool things. I took a few pictures, but after posting so many already, I’m going to lay off. In general last weekend I took 200 pictures. Took me a few days to narrow it down! Current events? We’re getting a car tomorrow! It’s a cute little white Avante (basically a Hyundai Elantra). It was an answer to prayer…we’ve been looking for a while for something in our price range…and this one’s perfect. :) God is good. Next weekend we’re going to Yeosu to see the World Expo. 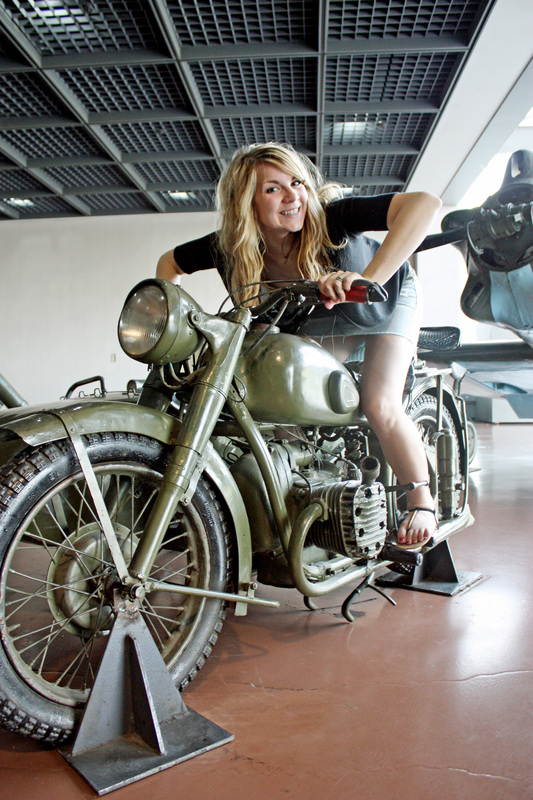 I am SOOO excited- google it…it looks pretty darn cool. 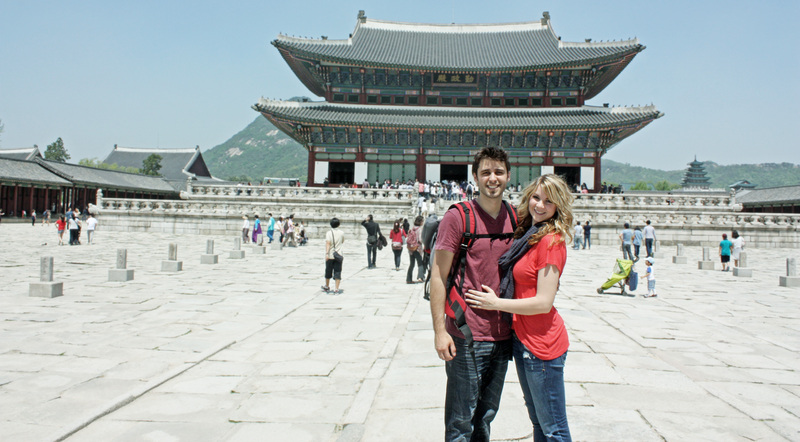 Another plus about going to Yeosu is that we get to see our college friends Steph and Josh. It’s really neat how we’re out here at the same time! We were able to meet them in Seoul, it was great catching up. Well that’s about it. Until next week.